I had such high hopes. I’ve been reading Kristin Hannah for a long time – or maybe I should say, I’ve been listening to her for a long time. Historically, her books have fallen into the category of books that I’m willing to spend the time listening to (since I have a long commute), but I won’t invest the time to physically read. Lighter fiction, chick-lit sorta, but not literary fiction. With The Nightingale, I felt like Hannah made that leap from contemporary fiction to literary fiction. 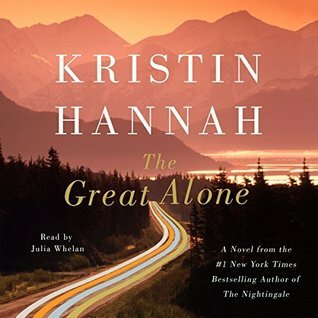 Her latest – The Great Alone – has received a ton of praise (you’ll be hard pressed to find a review that isn’t glowing), and so I was optimistic. But I think she’s stepped back with this one. Sign into Goodreads to see if any of your friends have read The Great Alone.